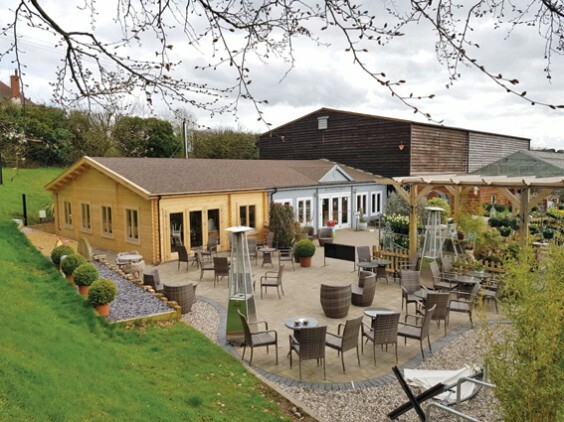 In the two years since it opened, The Potting Shed café and restaurant at Singletons Nurseries has proved a hit with its tasty homemade food and relaxed atmosphere. Such is its success that the business has been able to expand, with the addition of an extension called The Garden Room and an increase in the outdoor seating space. As well as enjoying breakfast, lunch and afternoon tea, customers can also book the rooms for exclusive private hire as a venue for occasions such as baby showers, birthday parties or social gatherings. The Potting Shed has now extended its opening hours to serve food until 4pm, and is also open until 5.30pm on Thursdays. Sunday roasts are very popular, as are the afternoon teas with all components baked in house. The café is now taking bookings for Father’s Day Breakfast and Lunch on Sunday June 17, and there are regular theme nights. “The tea room and restaurant has been a great addition to the nursery as it has brought more local customers to discover our hidden gem,” says owner Claire Singleton. Based at Lydiate Ash, Singletons Nurseries has been supplying top quality home-grown plants and produce for more than 70 years. The nursery is currently selling summer bedding plants, shrubs and perennials and bespoke hanging baskets made to order. As well as plants and gardening accessories, Singletons also offers a huge range of giftware in a cosy shop adjoining the restaurant. You’ll find kitchenware, ornaments, jewellery, local jams and chutneys, greetings cards and giftwrap. For the latest offers and more details on all upcoming events, just call in or keep an eye on the website.